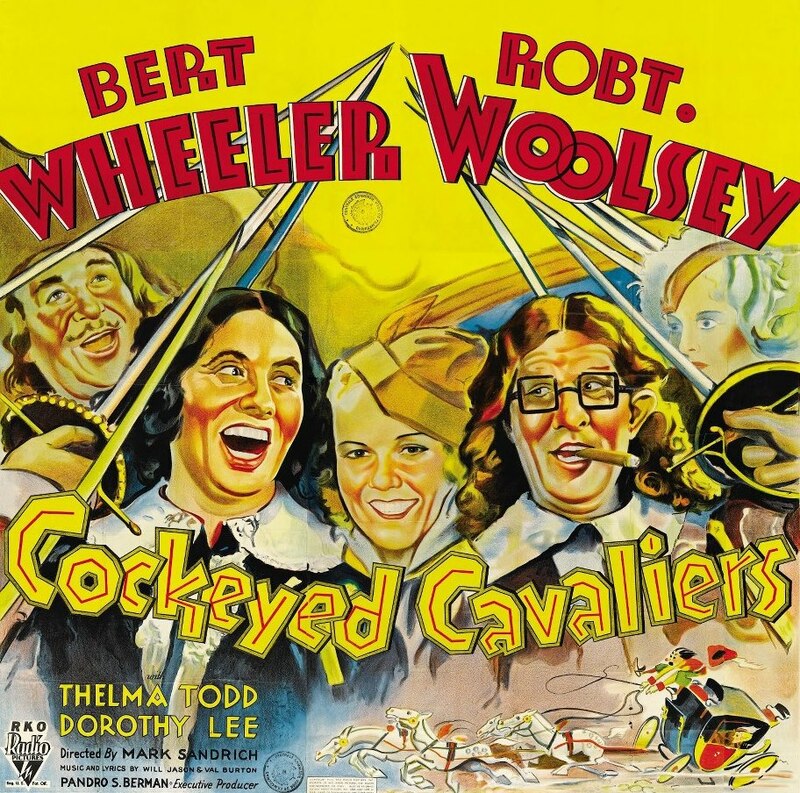 Oct. 17, 2014 -- Robert Woolsey was half of one of the most popular film comedy teams of the 1930s. Along with his partner, Bert Wheeler, the team of Wheeler and Woolsey starred in 21 films from 1929 to 1937, and were rivals in popularity to Laurel and Hardy, the Marx Brothers and even Charlie Chaplin. Today, however, the comedy team of Wheeler and Woolsey is mostly forgotten to all but the most dedicated fans and film historians. 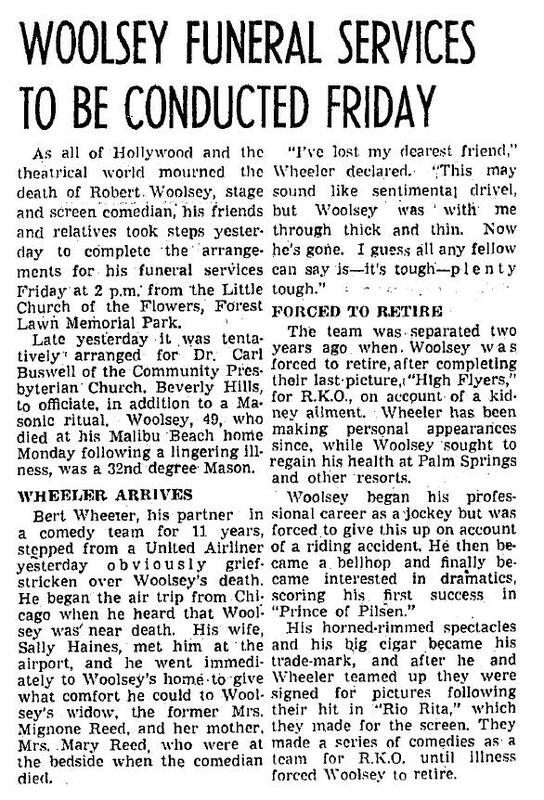 Part of the reason was Woolsey's untimely death in 1938, when he was just 50 years old, but it's also because their films were rarely shown on television in the 1950s and '60s, when a new generation of fans was discovering the classic film comedians. Robert Rolla Woolsey was born on Aug. 14, 1888, although the location of his birth is something of a mystery. Most sources cite Oakland, Calif. According to Woolsey’s 1922 passport application, he was born in San Francisco. His obituary reported that he was born in Cincinnati. The 1930 U.S. census lists his birthplace as Illinois. No matter where he started, Woolsey was living in Carbondale, Ill., in 1900, with his father, Thomas, a machinist; his mother, Sarah; an older brother, William; and a younger brother, Charles. After his father died, the teen-age Woolsey took a series of jobs to help support the family, including working as a jockey. Woolsey, who had a slight build and reached a height of just over 5-foot-5 as an adult, seemed to be physically suited for job. 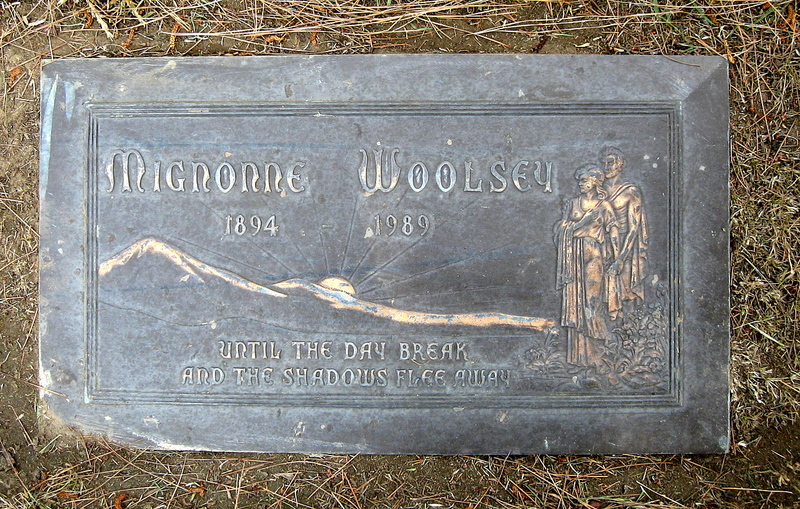 Woolsey was riding a horse named Pink Star when the horse fell, and broke Woolsey's leg. Pink Star went on to win the Kentucky Derby in 1907, while Woolsey gave up his career as a jockey, moved to Cincinnati, and found work as a bellboy at the newly opened Sinton Hotel. While working at the hotel, Woolsey met some of the vaudeville actors who were passing through town. They saw Woolsey's potential as a comedian, and encouraged him to consider a career on the stage. So Woolsey started performing at county fairs in the Midwest, then moved to vaudeville, and toured the country. In 1917, Woolsey married dancer Mignonne "Minnie" Park Reed of Atlanta. By 1919, Woolsey was in New York City, and made his Broadway debut in "Nothing But Love," a musical comedy at the Lyric Theatre. Woolsey worked regularly on Broadway through the 1920s, including nearly a year performing with W.C. Fields in "Poppy" at the Apollo Theatre. 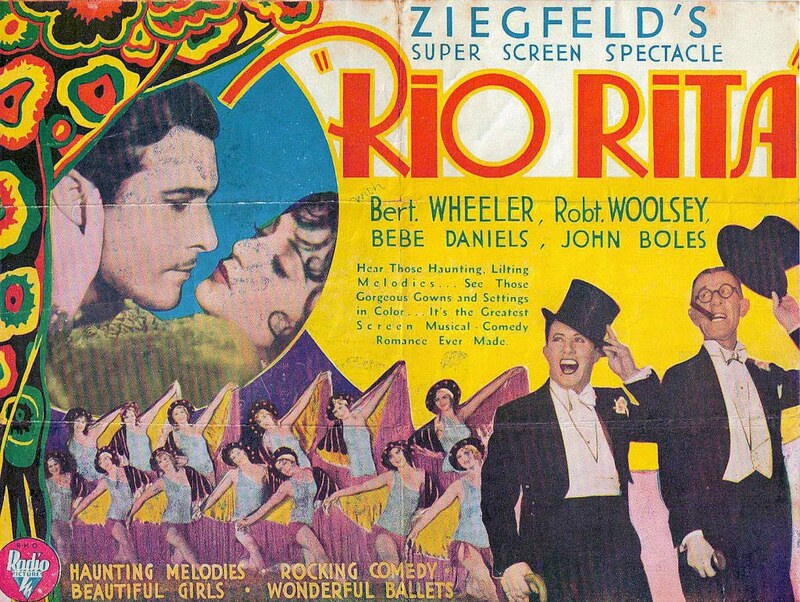 In February 1927, "Rio Rita," a musical-comedy, opened at the Ziegfeld Theatre, produced by Florenz Ziegfeld, and featuring Woolsey in a supporting role. Woolsey was teamed in the play with comedian Bert Wheeler, another vaudeville veteran who made his Broadway debut in 1923 in the "Ziegfeld Follies." "Rio Rita" ran for more than a year, first at the Ziegfeld, then the Lyric, and finally at the Majestic Theatre, where it closed in April 1928 after nearly 500 performances. At the time, Hollywood producers were searching Broadway for plays and performers who could adapt to the new talking pictures. The newly formed RKO Radio Pictures purchased the rights to make a film version of "Rio Rita," and Woolsey and Wheeler were the only performers from the play who came to Hollywood to appear in the film, which starred John Boles and Bebe Daniels. "Rio Rita" was released in September 1929, and was RKO's first major production, and first big hit. 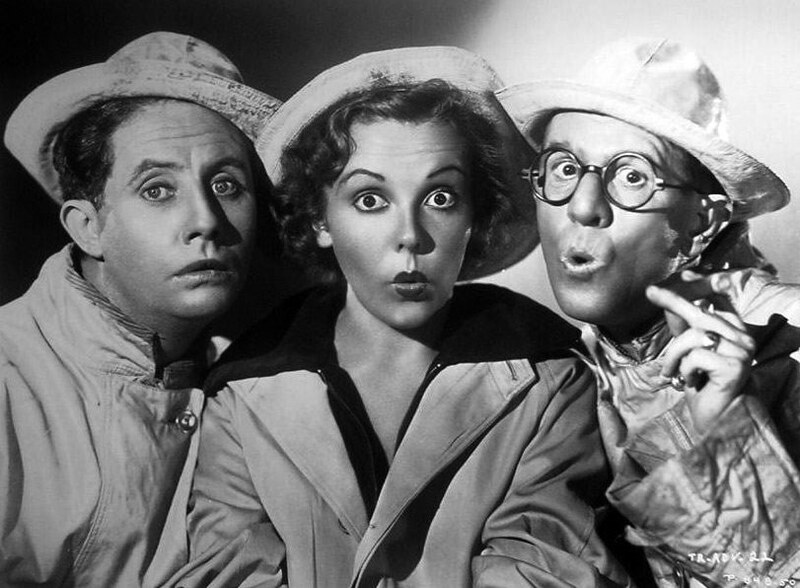 And Wheeler and Woolsey -– who hadn't met before appearing together on stage -– officially became a comedy team. Following the success of "Rio Rita," Wheeler and Woolsey starred in four films for RKO in 1930 -– "The Cuckoos," "Dixiana," "Half Shot at Sunrise" and "Hook, Line and Sinker." The following year, they appeared in three feature-length films -– "Cracked Nuts," "Caught Plastered" and "Peach-O-Reno" -- plus "The Stolen Jools," an all-star, fund-raising short to benefit the National Variety Artists Tuberculosis Sanitarium. 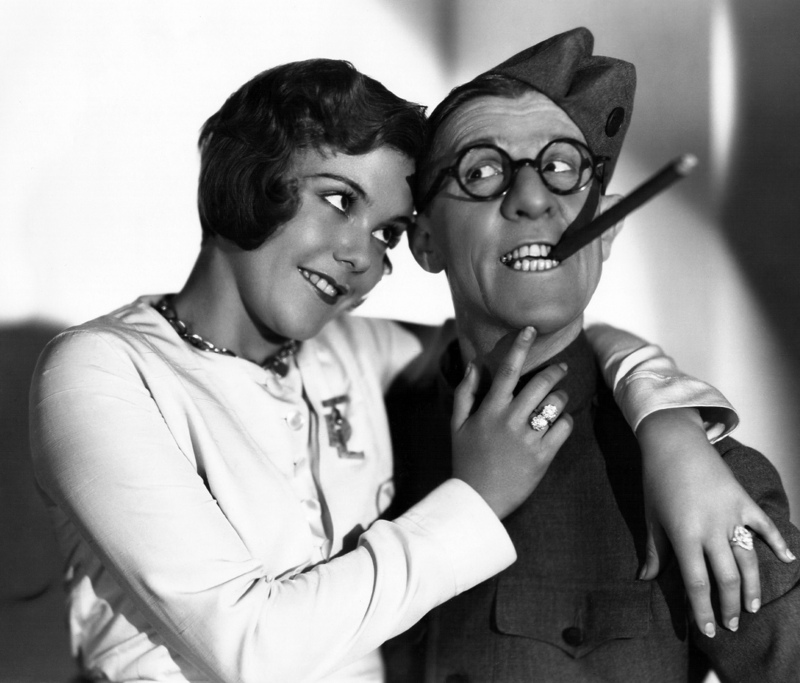 The typical Wheeler-Woolsey film featured Woolsey as the aggressive, fast-talking, cigar-smoking, leering schemer, in loud suits and horn-rimmed glasses, leading Wheeler, the sweet, wide-eyed innocent, into and out of an assortment of outrageous and troublesome situations -– the wise guy and the sap. 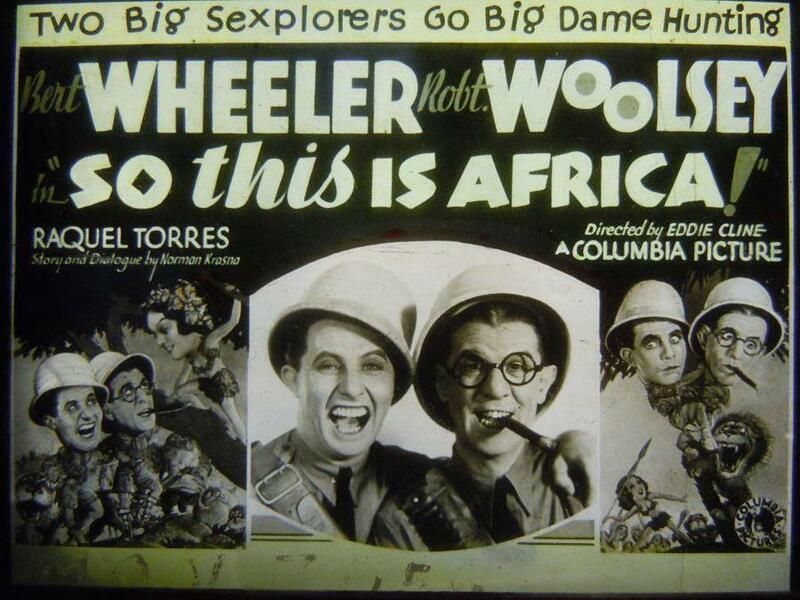 By the end of 1931, Wheeler and Woolsey were one of the most well-known and popular comedy teams in the country, and a lengthy list of film stars and future stars appeared in their films, including Betty Grable, Boris Karloff, Thelma Todd, Noah Beery, Lupe Velez, Willie Best, Bebe Daniels, Edna May Oliver, Hugh Herbert, Charles Middleton, Robert Armstrong, Edgar Kennedy, Louis Calhern, Ruth Etting, George "Spanky" McFarland, Margaret Dumont, Evelyn Brent and Jack Carson. 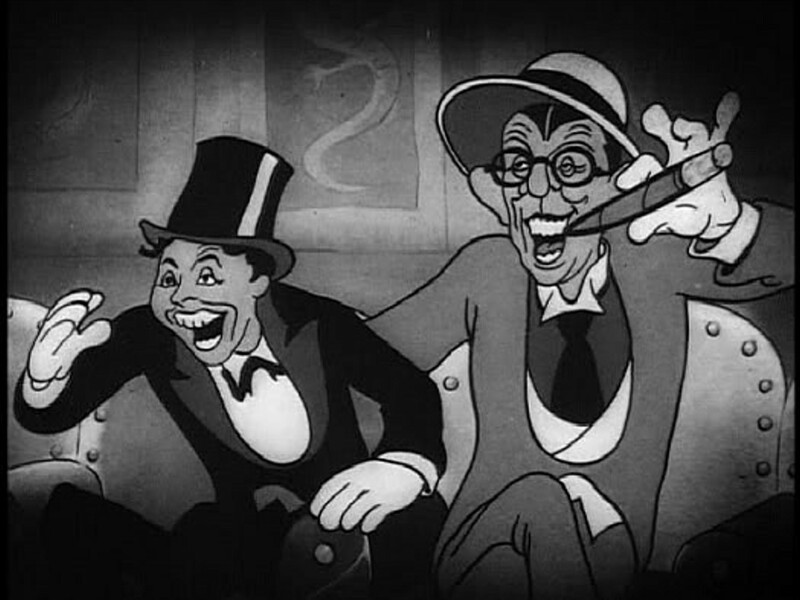 As the ultimate sign of their success, in 1933, Wheeler and Woolsey appeared -- in animated form -- with Mickey and Minnie Mouse in "Mickey's Gala Premiere," and also in "I've Got to Sing a Torch Song," released by Warner Bros.
Their films, starting with "Rio Rita," also typically co-starred Dorothy Lee, who provided the same romantic interest for Wheeler that Dorothy Lamour did in the Bob Hope/Bing Crosby films of the 1940s, and had the same enduring connection with the team that Margaret Dumont had with the Marx Brothers. Of the 21 full-length Wheeler and Woolsey films from 1929 to 1937, Lee was in 13 of them. But while Laurel and Hardy, the Marx Brothers, the Three Stooges, Fields and Chaplin focused primarily on slapstick and sight gags in the early 1930s, Wheeler and Woolsey were known for their adult humor, sophisticated word play, scantily dressed women, fairly regular cross-dressing, gender reversals, double entendres, and what was then referred to as "pansy humor" -– typical vaudeville comedy. Their films entertained their audiences, made money for their studio -- and horrified those who saw Hollywood as leading the nation into the gutter. In the early 1930s, Wheeler and Woolsey were even more of a target than Mae West for the nation's shocked moral watchdogs. But with the strict enforcement of the Production Code in 1934, Wheeler and Woolsey were forced by the censors to tone down their act, which also reduced some of their appeal. 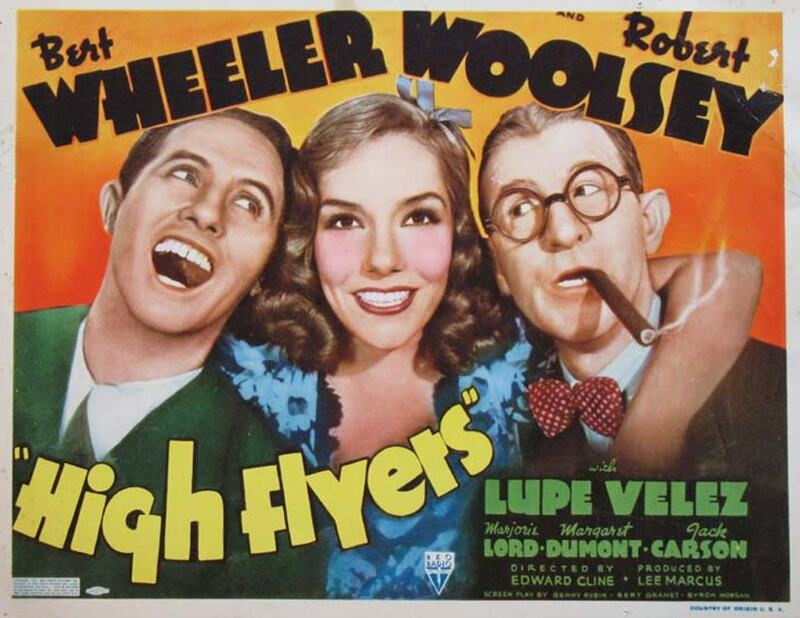 And, unlike their comedy peers, Wheeler and Woolsey starred almost exclusively in full-length feature films, not two-reel shorts -– which is one of the primary reasons why they're barely remembered today. In the early days of television, when stations were showing the two-reel comedies of Laurel and Hardy, Our Gang and the Three Stooges, the Wheeler and Woolsey films didn’t fit into the TV schedule. And, considering their sophisticated and borderline-risque material, they probably wouldn't have been a good fit with the young TV audience, either. With the increasing popularity of television in the late 1950s and '60s, many classic film comedians and comedy teams enjoyed a rebirth, and exposure to a new generation of fans. Comedy shorts were easy to repackage and present on television. The typical "two-reeler" short runs for 20 to 24 minutes, which could easily be shown as part of a 30-minute TV program, with minimal cuts, and still have room for commercials. 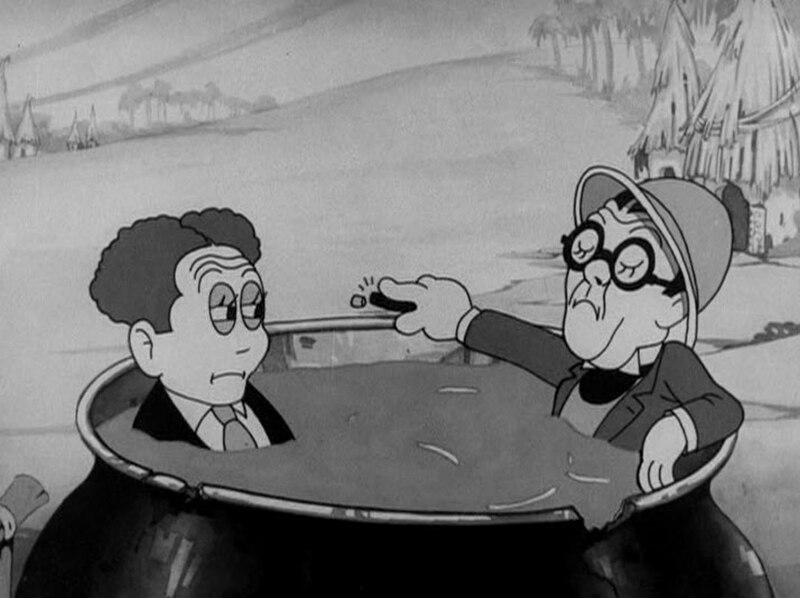 For many Baby Boomers, their first exposure to the film comedians of the 1920s and '30s was on Saturday morning television, with the classic black-and-white shorts sandwiched in between the cartoons. But that didn't happen with Wheeler and Woolsey, since they didn't make comedy shorts. 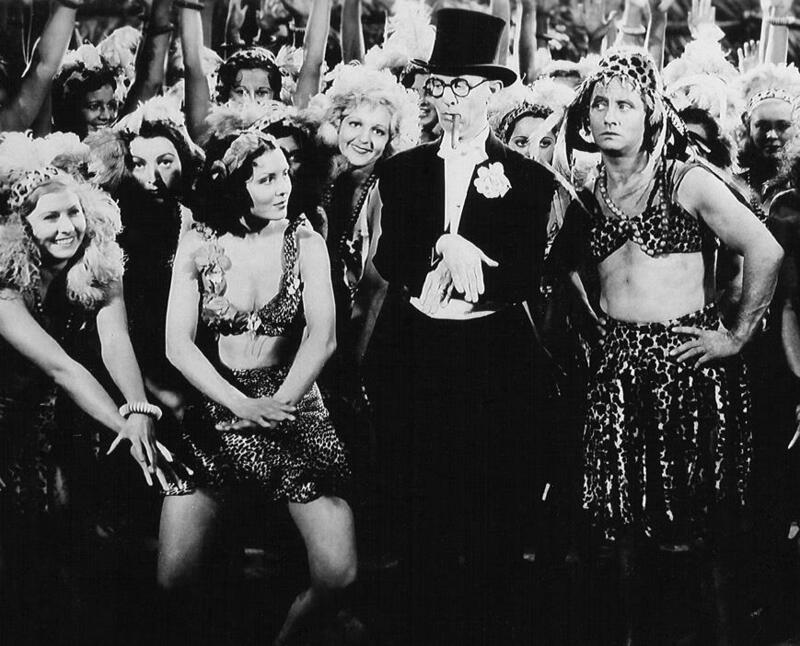 In addition to the constraints of the Production Code, RKO assigned new writers to the Wheeler and Woolsey films, cut their budget, and the quality suffered, in "Silly Billies" and "Mummy's Boys," both released in 1936. "On Again, Off Again" (1937) was a strong improvement, but during the filming, Woolsey discovered that he was suffering from a serious kidney disease. The production of the team's final film -– "High Flyers" (1937), with Lupe Velez -– was delayed due to Woolsey's illness. 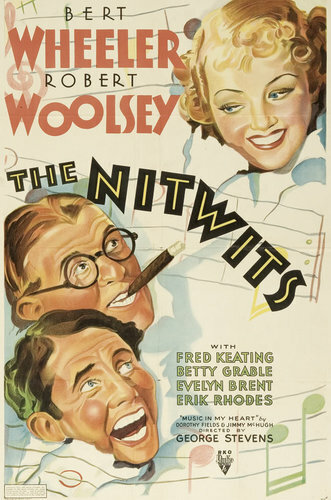 Although Woolsey was unable to complete the production schedule, the studio had enough material to finish the film, which was released in November 1937. After the film was released, Woolsey officially retired to his home in Malibu, and was confined to bed for nearly a year. He slipped into a coma in late October 1938, and died of kidney failure two days later, on Oct. 31, 1938, at the age of 50. Woolsey's funeral services were held at the Little Church of the Flowers at Forest Lawn Memorial-Park in Glendale, and he's buried nearby. Wheeler escorted Woolsey's 44-year-old widow following the services. After Woolsey's death, Wheeler appeared in a few more films, starring in "The Cowboy Quarterback" (1939) and "Las Vegas Nights" (1941). Wheeler then moved to television, where he occasionally appeared in musical-comedy and anthology shows. Wheeler's longest run on television was in the series "Brave Eagle," a Western in the mid-1950s, and the first series to feature a Native American as the lead character. Wheeler played a half-breed named Smokey Joe, who was known for his tall tales, tribal wisdom and comic relief. Wheeler also developed a stage act with frequent co-star, Dorothy Lee, and they toured theaters across the country. Wheeler also returned to Broadway, where he appeared in supporting roles in "New Priorities of 1943," "Laugh Time," "Three Wishes for Jamie" and "The Gang’s All Here." Wheeler died of emphysema on Jan. 18, 1968, at the age of 72. He’s buried in Calvary Cemetery in Queens, New York City. Dorothy Lee died on June 24, 1999, in San Diego, at the age of 88. She’s buried with her sixth husband, Charles Calderini, in Jo Daviess County, in northwestern Illinois. 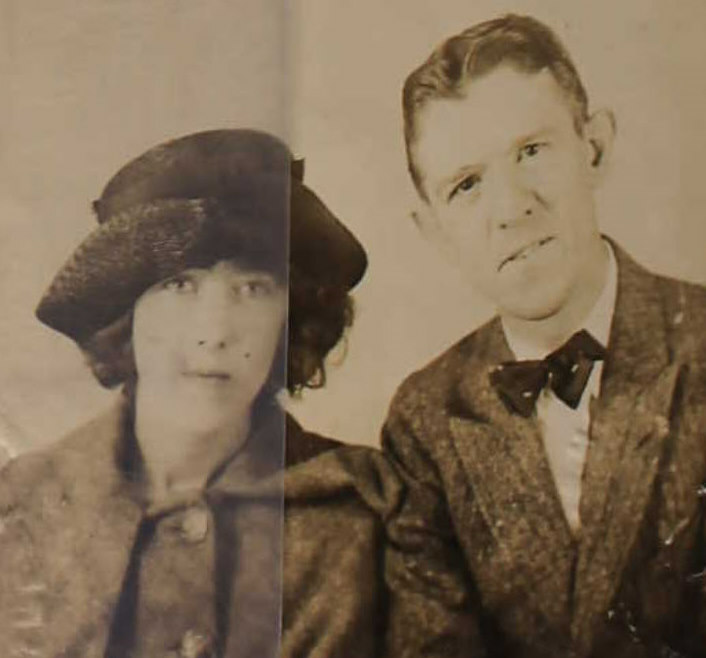 Minnie Woolsey outlived her husband by more than 50 years. She died on April 20, 1989, at the age of 94, in Los Angeles, and is buried next to him at Forest Lawn in Glendale. 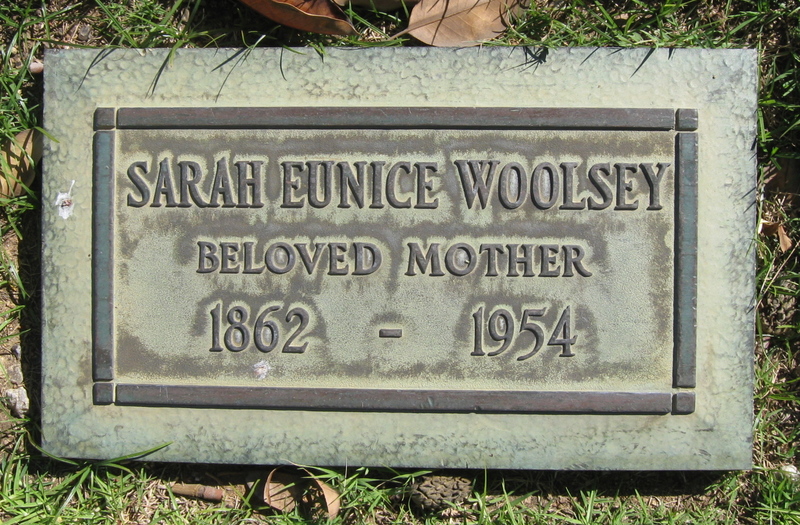 Woolsey's mother, Sarah Eunice Woolsey, followed her son to California. She died in 1954, at the age of 91 -- 16 years after her son -- and is buried at Forest Lawn Hollywood Hills.